Of all the pitchers who authored no-hitters, the consensus seems to be the most unlikely of all was the one thrown by Bobo Holloman of the Browns. His career was one season and just 65.1 inning long. He had a 5.23 ERA and a 3-7 record in 22 games. Yet, in his first start, he somehow threw a no-hitter. Holloman’s no-no, however, is not the least likely no-hit achievement in Browns history. In 1917, an even less likely event–or should I say events–occurred. In fact, it would have been headline news no matter what team achieved it. The 1916 season had been one of promise for the Browns, as they finished at 79-75, ending a skid of seven consecutive losing seasons. At the dawn of Saturday, May 5, 1917, they were 8-8. The next few games would provide cause for optimism: two Browns’ starting pitchers hurled no-hitters on consecutive days. Even more amazing, their masterpieces came against the Chicago White Sox, who went on to win the World Series that year. Two years later, most of the players held hitless (Buck Weaver, Happy Felsch, Joe Jackson Chick Gandil, Swede Risberg, and Ed Cicotte) would be implicated in the Black Sox scandal. Presumably, no one paid them to take a dive against the Browns. With the exception of first baseman George Sisler, the Browns starting lineup was lacking in star power. Catcher Hank Severeid, however, had a 15-year career behind the plate. Notably, Armando Marsans, one of the earliest Cuban players in major league history, patrolled center field, and Burt Shotton, whose main fame comes from his time as the Brooklyn Dodgers manager from 1947 through 1950, was playing left field in the middle of his 14-year playing career. Ernie Koob pitched the first no-hitter in the opener of a six-game series at Sportsman’s Park in St. Louis in front of an estimated crowd of 4,000. The game matched the starting pitchers from a game played three weeks before in St. Louis when Koob started against Cicotte. On that date (April 14), it was all White Sox, as Cicotte no-hit the Browns (the first in Sportsman’s Park history) by an 11-0 score. So all eyes were on Cicotte, who indeed pitched well, giving up just five hits and one unearned run, but Koob stole the show. Koob was 24 years old and had debuted with the Browns in 1915. He had a 4-5 record with a 2.36 ERA and followed it with an 11-8 record and 2.54 ERA in 1916. He had begun the 1917 season by winning two of his first three decisions. His no-hitter was the first achieved by a Browns pitcher in Sportsman’s Park. But Koob’s achievement was not without controversy. 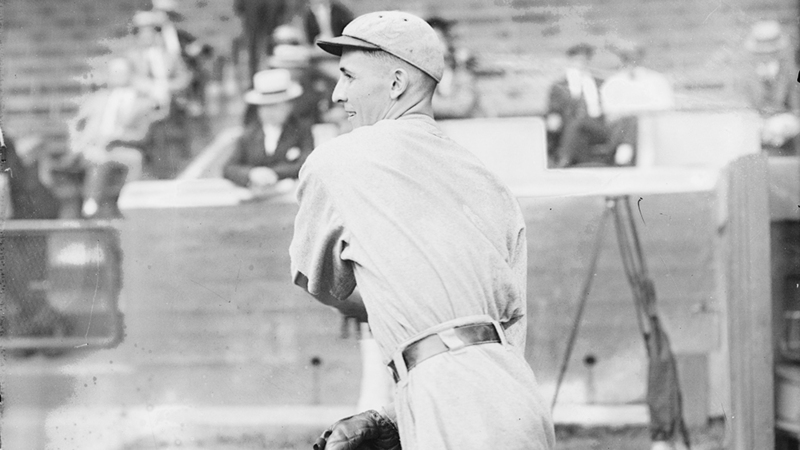 In the top of the first inning, Weaver hit a grounder to second baseman Ernie Johnson, who was playing in place of the injured Del Pratt. Johnson misplayed the ball, but Weaver was credited with a hit. When Koob left the mound after the top of the ninth, he headed for the clubhouse thinking he had authored a one-hit shutout. Afterwards, the official scorer, St. Louis sportswriter John B. Sheridan, chatted with players, coaches, and umpires and decided to reverse his decision. 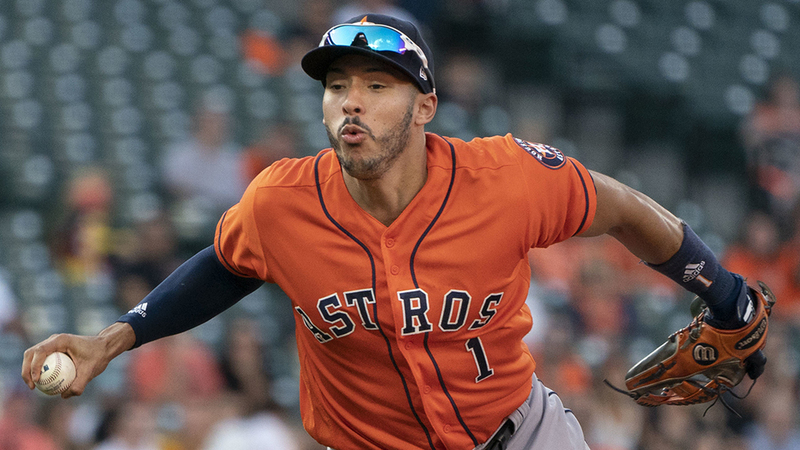 He even talked to second baseman Johnson, who admitted he had booted the ball. While this was going on, other writers were filing stories about Koob’s one-hitter, and newspaper readers across the country were misinformed. This certainly was not the first time accuracy was a casualty in the war between deadlines and headlines. A minor scandal erupted over the official scorer’s change of heart. Since he worked for a St. Louis newspaper, Sheridan was accused of being a homer. Indeed, one has to wonder if he would have had second thoughts had a no-hitter not been at stake or if a White Sox pitcher had been flirting with a no-hitter. On the other hand, there was no instant replay in those days, so if the official scorer had nagging doubts about his original call, he had no choice but to wait until the end of the game and interrogate those involved. At any rate, Sheridan’s final decision stood, and Koob was credited with a no-hitter. As noteworthy as that Saturday game was, the real shocker came the next day when the two teams played a doubleheader. At day’s end, the Browns had swept the twin bill. That was headline-worthy enough, at least in St. Louis, yet it was just the beginning of the story. In the first game, the Browns sent Allen Sothoron to the mound against Reb (he was from Jackson, Mississippi) Russell. Coming off a 30-win season with Portland of the PCL, Sothoron was a major league rookie in 1917, though he had played briefly with the Browns in 1914 and 1915. He would finish his rookie year by pitching 276.2 innings and leading the league in losses, with 19, despite a 2.83 ERA. Reb Russell had broken in with a bang (22-16, 1.90 ERA in 316.2 innings in his rookie year of 1913) and had been slightly disappointing since then, though he was coming off a decent 1916 season of 18-11 and 2.42. Sothoron left the game in the sixth inning with the Browns in the lead and would go on to win the game (final score: 8-4). But that was not the big story. After Sothron left, he was relieved by 42-year-old Eddie Plank, who started the season with 321 victories (300 if you don’t count his 21 victories for St. Louis Terriers of the Federal League). Plank held the White Sox at bay through the seventh inning before giving way to Bob Groom, usually a starter, and a fairly reliable one. (His innings pitched totals ranged from 209 to 316 from 1909 to 1916.) In the early going in 1917 he was used more often in relief. Groom pitched two hitless innings but he didn’t exactly mow ‘em down, as he gave up three walks. At any rate, he held the White Sox scoreless and achieved what would one day be known as a save. All well and good, though not earth-shattering news. But Groom’s workday wasn’t over. The Browns fans (an overflow crowd estimated at 20,000 despite chilly, overcast weather), not impressed by Groom’s efforts in game one, were vocal in their disapproval when Groom took the field as the starting pitcher of the second game. As in the first game, Groom gave up three walks and no hits, but this time he was on the mound for nine innings. He had no-hit the White Sox (final score: 3-0) one day after his teammate Koob did the same thing. (Joe Benz, a 31-year-old veteran on the downside of his career, was the loser.) Even more impressive, Groom had thrown 11 hitless innings in one day–no better way to win the crowd over. So let’s reflect. Two Browns pitchers had thrown no-hitters in one season. It’s rare, but not unheard of, for teammates to throw no-hitters in one season. However, typically it’s been done by “name” pitchers on “good” teams, most recently Josh Beckett and Clayton Kershaw for the Dodgers in 2014. Eleven innings of no-hit ball in one day is not a record. Famously, Harvey Haddix pitched 12 perfect innings on May 26, 1959, against the Braves, only to lose the game in the 13th. One could justifiably say that this weekend was the high point of the season for the Browns, since their 11-8 record at the close of business on May 6, 1917, was their high-water mark for the season. The Browns immediately reverted to type, losing the next three games to the White Sox for a split on the series. So they were back at .500 where they had started before the White Sox hit town. On May 16, the Browns lost a 5-2 contest to the Yankees to fall below .500 at 14-15. They never won more than three games in a row the rest of the season and finished at 57-97, good for seventh place. While Bob Groom had about as good a day as any pitcher ever had, the rest of his season did not go well. He would be put on waivers after the season. He turned up with the Indians in 1918, but his 7.06 ERA in 43.1 innings made him expendable, and his MLB career was over at age 33. The baseball gods were also cruel to Ernie Koob. At season’s end, his record was 6-14 with a 3.91 ERA. After serving in the military in 1918, he returned to the Browns in 1919. Unfortunately, he was ineffective, going 2-4 with a 4.64 ERA in limited duty. This was his last season in big-league ball. The following season, Koob toiled at Double-A Louisville of the American Association. Notably, he tossed another no-hitter (against the Kansas City Blues) on May 11, 1920. Under the tutelage of Joe McCarthy, he found his niche as a minor league innings-eater. He spent nine years with the Louisville Colonels, helping them to titles in 1921, 1925, and 1926, and finished his career with a couple of seasons at Class A ball. His post-baseball life was brief, as he died of tuberculosis at age 49. Groom was a bit more fortunate in that regard, as he lasted until age 63. When it comes to unlikely authors of no-hitters, Koob and Groom surely belong next to Bobo Holloman. In-between (1917-1953), not one Browns pitcher hurled a no-hitter. And since the Browns moved to Baltimore after the 1953 season, there will never be another. A St. Louis Browns story! Thank you Frank. Another in a long line of well written tales. Maybe the Padres have to wait until they go back to the brown unis before their fans witness the first franchise no hitter.